Michela Catalano took part in several competitions, and her experience includes work in Italy and Chile, besides being a consultant in Cappellini’s Research and Development Department. Ilaria Marelli specialized herself as a sound designer and took part in photography competitions, she cooperates with the Politecnico of Milan where she teaches Industrial and Environmental Design. 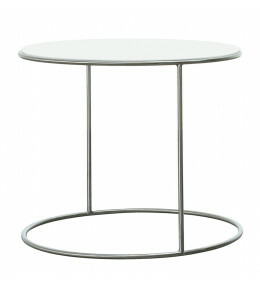 Cannot Coffee Table is a detachable service table made with a satined stainless steel structure.